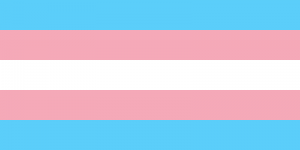 The Transgender Flag. Becoming proud of one’s identity is about reclaiming one’s power in creating and choosing a life one loves, rather than letting others tell one who they are. Coming out is the process of sharing one’s authentic identity with others, even if that identity is in development or exploration. It is a process of sharing more with others what we have been hiding and holding back. In other words, we share our true thoughts and feelings. There is a time and place for this, but it is a process that all humans must face. We all have skeletons in the closet so to speak. It is up to us to decide what to share, who to share it with and with the right minded considerations of ourselves and others. Generally, when coming out, one begins to admit to themselves what their real feelings and desires are and come to terms with it. It can be confusing as desires are often in conflict with each other and we are often facing shame, guilt and fear. Though this process is often not easy, and one should trust their intuition in the process, it is ultimately a positive process of growth into one’s more authentic expansion of self.